Our Wooster Crib is the perfect complement to just about every style of nursery, and now with its limited time special pricing, we hope we can get it into even more nurseries. You know we love a deal, and we want to pass one on to you as well. For a limited time, you can purchase the Wooster Crib for just $299. Made from American Poplar wood with a non-toxic finish, the crib features solid wood construction without moving parts and meets and exceeds federal CSPC and ASTM safety standards. I seriously can’t wait until I start seeing these cribs pop up in our project gallery because I’m dying to see how you all are styling them. 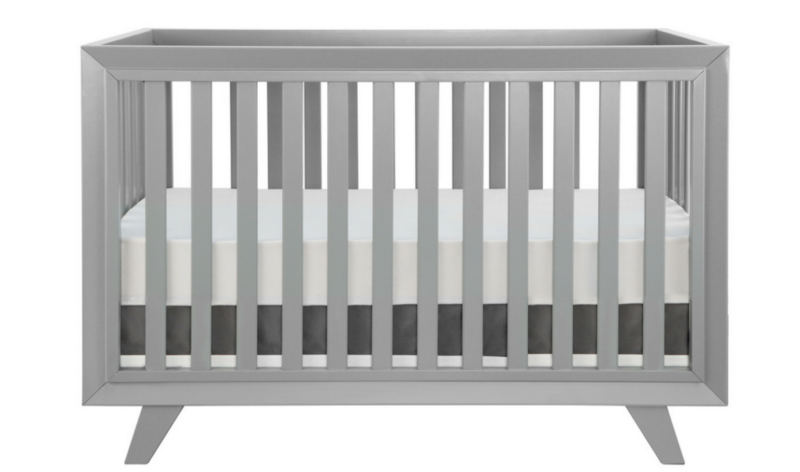 Don’t forget the crib is also available in almond and gray for the same limited time special pricing. You can actually pay as little as $27 a month using the Affirm option. Affirm is a monthly payment plan available in our shop. You can get all the details by clicking the learn more link next to the option on a product page. But in a nutshell, it allows you to break up a larger price tag into monthly payments (with interest) to pay over three, six or twelve months. So who is going to be the first to upload their nursery using the Wooster crib to our project gallery? I can’t wait! Our Smart Nursery Baby Monitor System is Now Available on Amazon!